Dog Walkers: Our dog walkers participate in exercising, training, and providing kennel enrichment and love to dogs throughout the week and on weekends. Want to help your community’s dogs in need and get some exercise at the same time? Enjoy being a hero to some truly awesome dogs? Then dog walking is the job for you. Playgroup Participants: These volunteers help facilitate the operation of playgroups by monitoring small and large dog groups, adding and removing dogs from groups as directed by the leader, and providing exercise and enrichment to dogs as needed before or after group time. Adoption Counselors: For those who enjoy talking to the public and are willing and able to help educate people about our dogs as well as responsible dog ownership, adoption counseling is an area where we could really use more volunteers–and its an opportunity to make a big impact on adoption rates! Counselors provide accurate information to adopters and adhere to our philosophy that all dogs are individuals in helping families choose pets. Interested in adoption counseling? We’d love to hear from you. Photographers and Photography Assistants: Our photography team provides attractive photographs of dogs in order to show off their personalities and attract the attention of adopters. Assistants handle the dogs for the photographer and generally have lots of messy, slobbery fun. Whether you have a talent for photography or would like to be involved by helping as an assistant, we would be happy to have your help. Videographers: Our dog walkers and playgroup participants take video whenever possible, to be featured on dog webpages in order to attract adopters. Videos show the dogs’ play style and social skills, thereby helping families select the right fit for their lifestyle and current resident pets. However, we would be happy to have a few dedicated videographers as well, if you have a special interest in this area. Web Team: Our web team performs a variety of task, such as writing bios, supporting and expanding our social media platform (Facebook, Twitter, Tumblr, Instagram), building webpages, writing, editing, providing content, wrangling WordPress, responding to email, and doing online adoption counseling. Much of this volunteer work can be done from home, for those who are unable to help in person at the shelter. Foster Care Providers: Our foster providers have one of the most rewarding tasks in the world. They provide care and housing to dogs in need of time outside the shelter. In the process, they get to see the dogs blossom and become their best canine selves in preparation for their forever homes. Other Ways to Help: There are many short-term projects and special events for which volunteers are needed. We also have jobs such as creating flyers, lending a hand with online tasks, or…you name it! Bring us your ideas, energy, and enthusiasm–we’re always happy to hear from you about a project you’d like to jumpstart. Sound like fun to be a part of SSPA? It totally is! And it’s some of the most rewarding fun you can have since you’ll be bettering the lives of the dogs in our program. For in-shelter volunteer work, a series of three training sessions will get you familiar with the shelter and its policies and procedures, as well as basic dog handling. After completion of training, volunteers are able to walk dogs on a flexible schedule, 7 days a week. For other types of volunteer work, there are a variety of ways to get started, so please contact us with your questions and ideas. 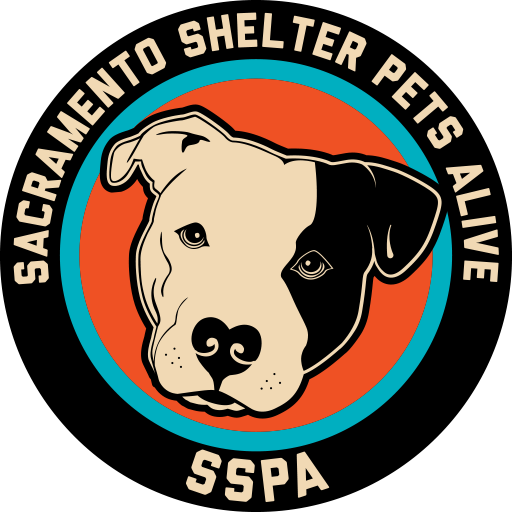 Contact us today at sacramentocountydogs@gmail.com if you’re interested in volunteering or have questions.